Been a while. | EAT MY PLANTS! My production work has kept me very busy the past several weeks and I have not been able to “play” in the garden nearly as much as I did earlier this season. My wife, Brenda, has worked very hard keeping everything going while I was away. Before I started getting calls for work I DID take video that I still have to edit and put together. I’ll still do that but since then, A LOT has grown and overgrown. No matter, here’s some pics from the past few weeks. I’ll post more later this week. 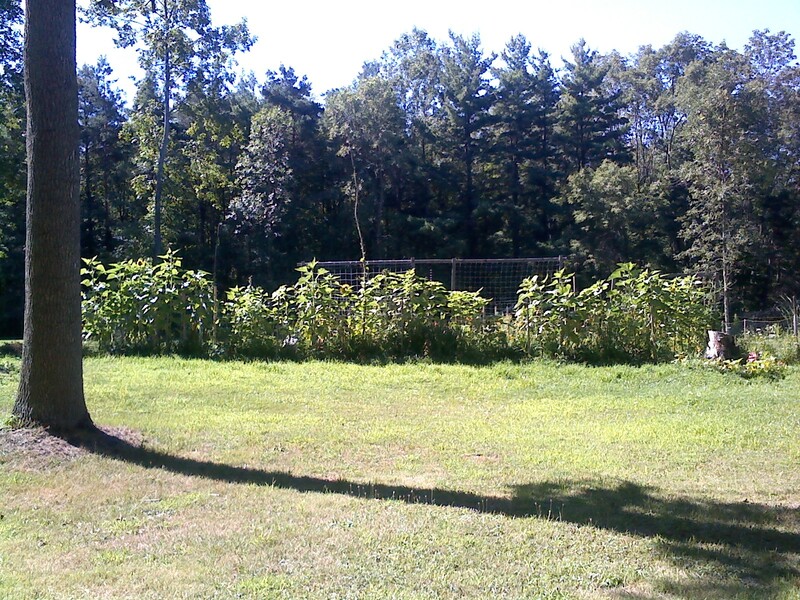 This is a view of the wall of sunflowers that line the northern side of the garden area. It makes the area feel like a fortress of sorts. 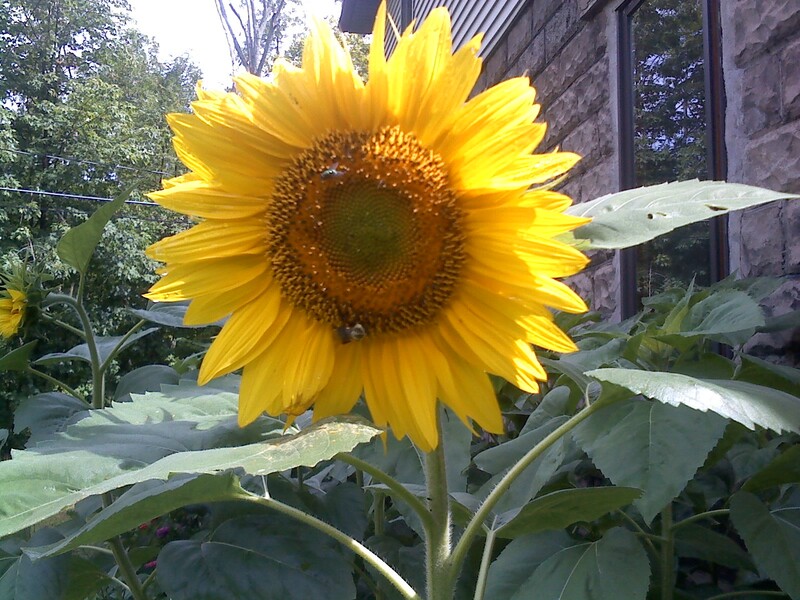 Many of the Sunflower and Zinnia along the house survived the deer/bunny onslaught and Japanese Beetle parade. 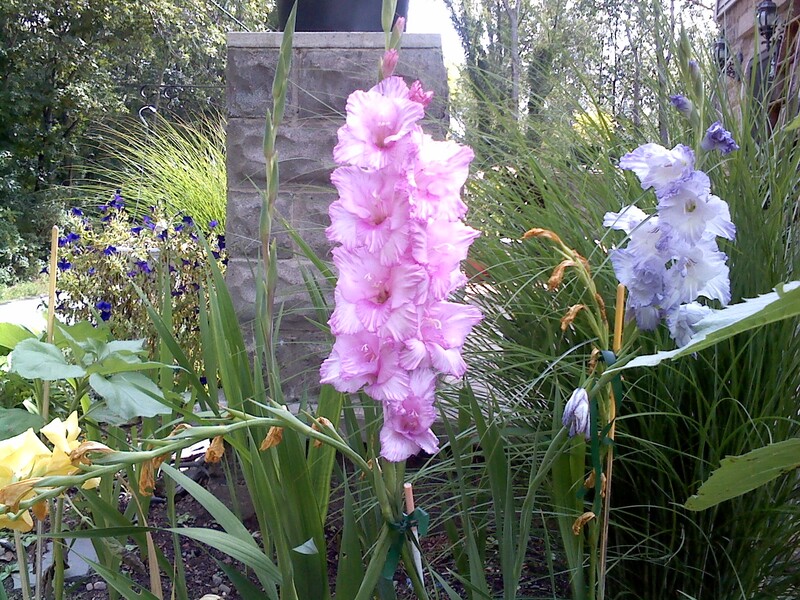 The Gladiolus didn’t bloom last year so I moved them to a sunnier part of the house. They really did well and many offsets from the bulbs have grown but not bloomed. Next season these will be brilliant. 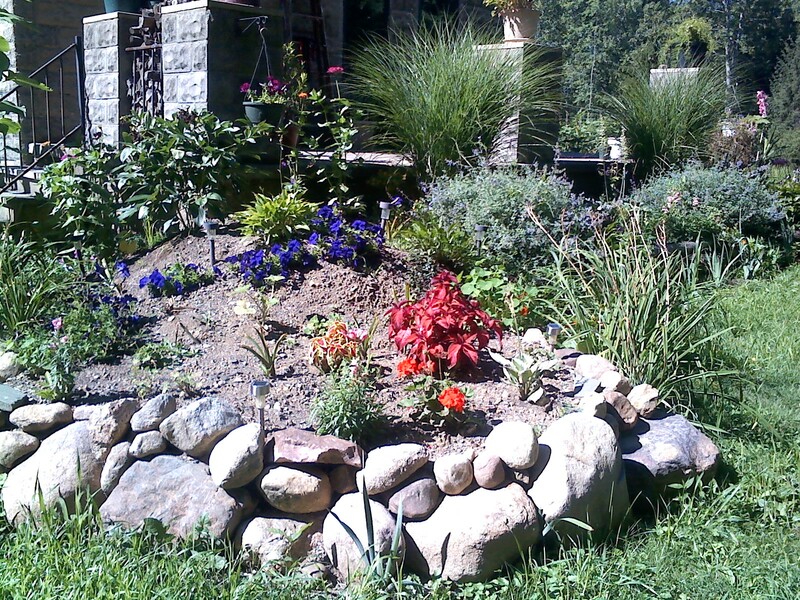 A lot of Summer flowers are passed and Petunias, Geranium, Snap Dragons, Morning Glory and Marigold are still going strong. Some of the several types of Daisies are also still in bloom. I’ve already begun collecting seeds from herbs and annuals. In fact, I think I enjoy collecting the seeds nearly as much as I enjoy harvesting the food. Everyday there’s something to pick. 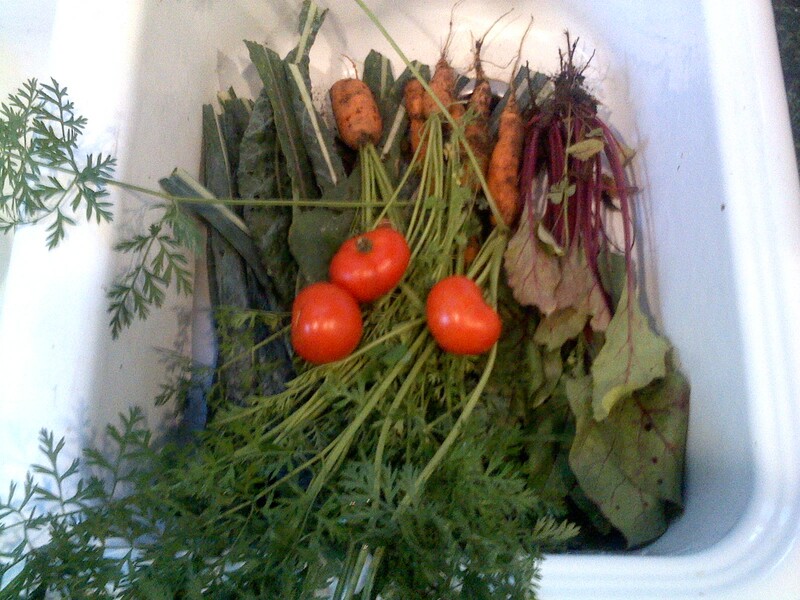 Here’s a sink full of Carrots, Beets, Kale, Tomatoes, and Onions. It’s really satisfying to see the fruits of our labor. Get it? Fruits? 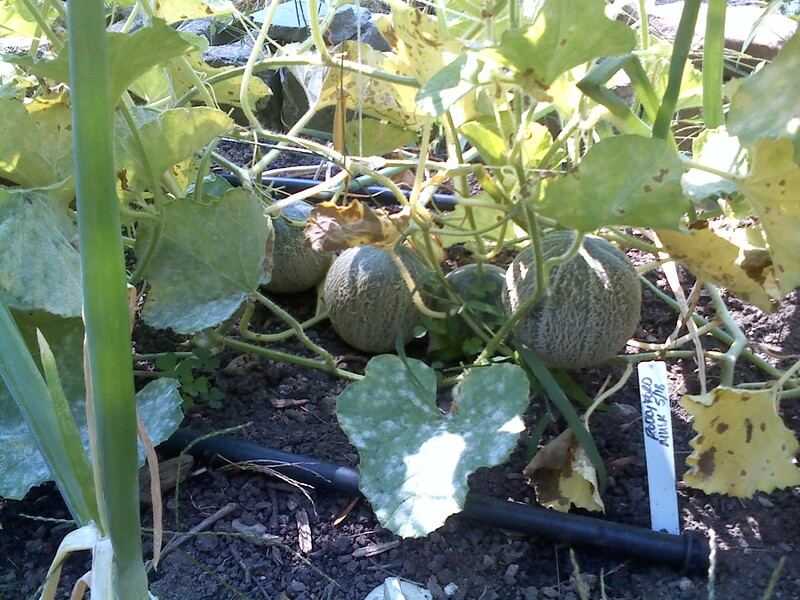 One of the Melons has fallen from the vine. That’s not exactly how you harvest Melons, but I’ve never successfully grown them. Often I lose them to white, powdery mildew. In fact, you can see in this picture that the mildew has gotten to these. So far, we are still getting Melons. Notice the tag in the ground, PMR 51 that were planted on 5/16/13. 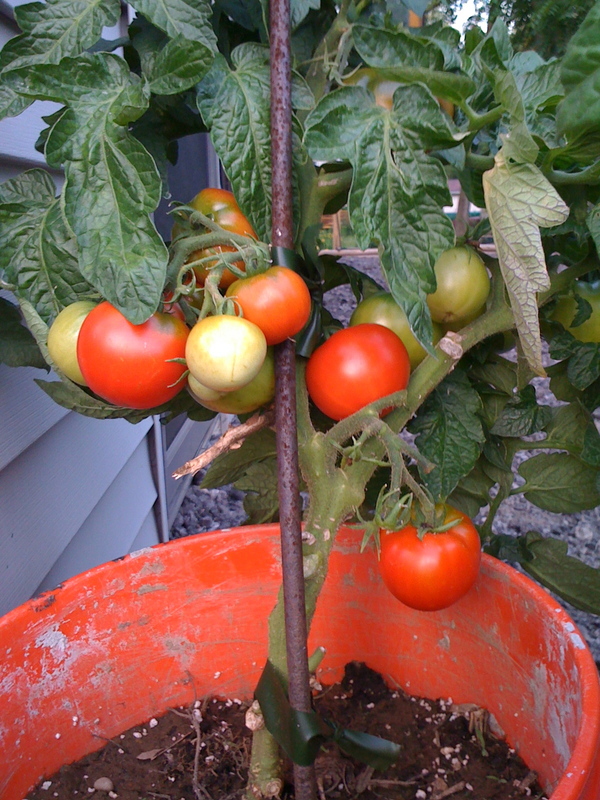 We’ve gotten lots of Tomatoes from the patio plant that the farm gave us. It’s a variety that we didn’t grow ourselves so it was kinda cool having these. We originally had two of them but one died soon after bearing it’s first fruit. 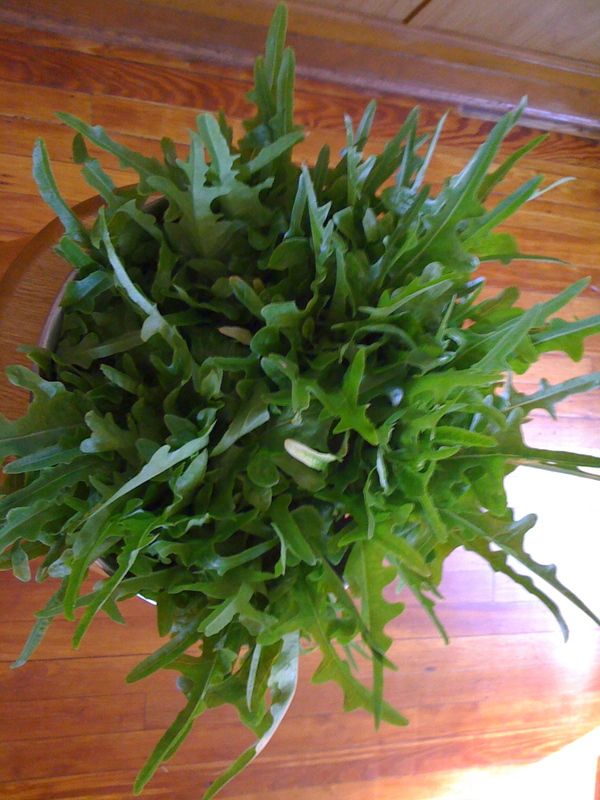 This is the last of the Oak Leaf Lettuce. 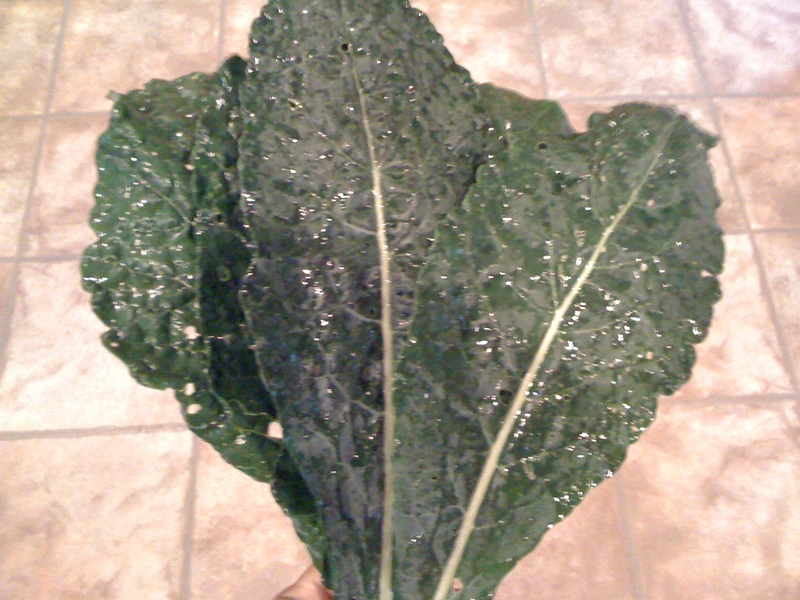 I recently bought another variety called Black Seeded Simpson for a Fall harvest. There’s plenty of Kale every single day, more than needed. A lot of holes from some of the Cabbage Loopers and the Neem Oil seemed to help a lot. It’s still been suitable for our morning juices. 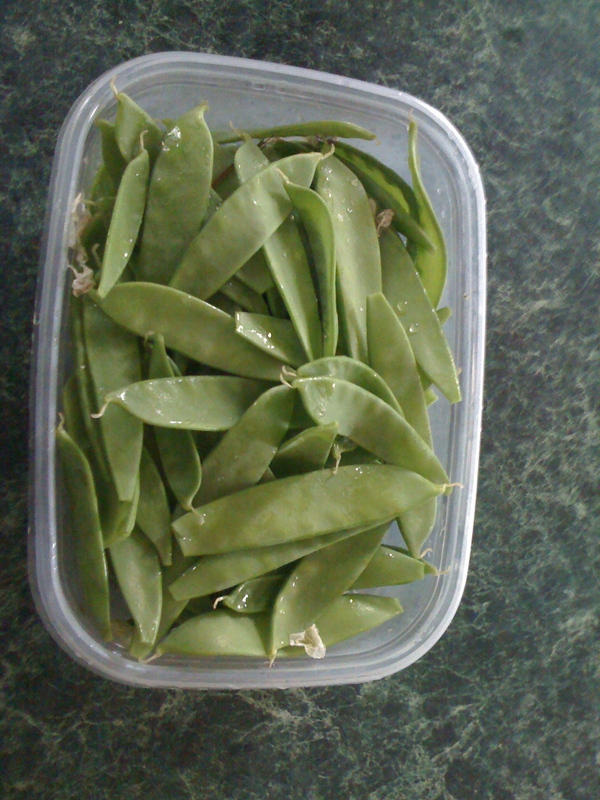 Peas are done. Our freezer is stocked with them. They’re so easy to grow, we always get a lot of them. 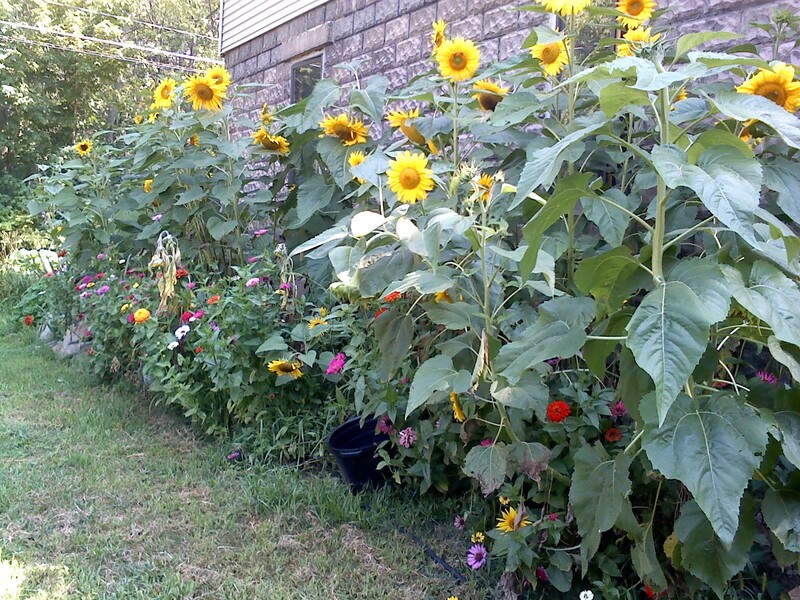 It really feels like yesterday that I planted them. April 7th was the first planting and we got Peas until late July. Later this week I should be able to post some more stuff, maybe some video that I took. I do have a project in the studio I have to get finished. Bunnies 1 Me 0 – But the game isn’t over. 37 & Sunny Tomorrow! Woo Hoo!